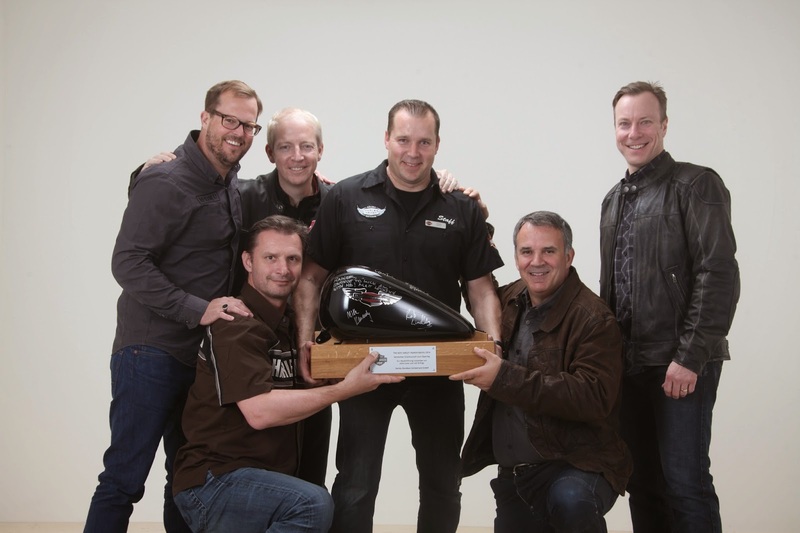 Harley-Davidson Top Manager visits Baechli’s Harley-Heaven at Dietikon! Top brass from Milwaukee, European and National Headquartes of Harley-Davidson: Matt Levatich, President & CEO H-D Motor Company, his wife Nancy, Mike Kennedy, Vice President & Managing Director NA, Nancy Kennedy, Rob Lindley, Vice President & Managing Director EMEA, Dr. Ing. Christian Arnezeder, Managing Director Germany, Austria, Switzerland, Markus Geissner, Regional Financial Controller Germany, Austria, Switzerland, Martin Schmied, Country Manager und Peter Frey, District Manager. The Baechli family, the Baechli team and the "Rabbit Hill" Chapter of the Harley Owners Group (HOG) celebrated with them. 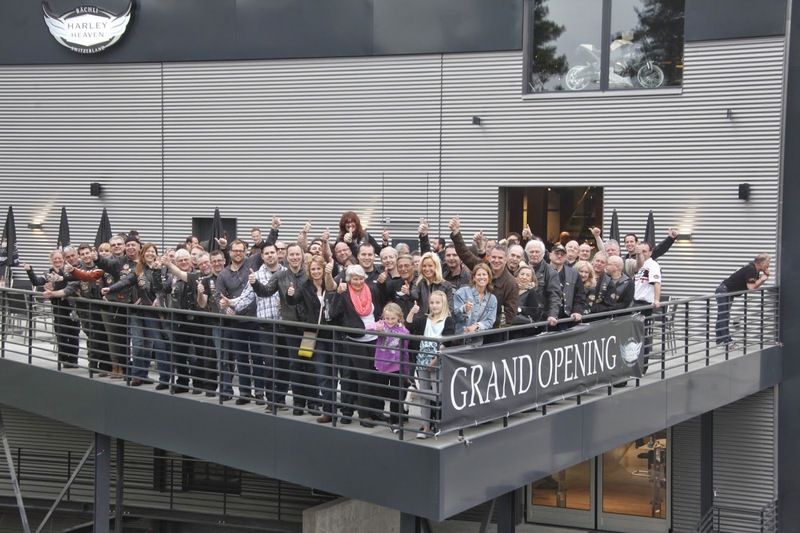 Not announced offcially the top echelon management of Harley-Davidson USA and Europa did not come as a surprise: The "Re-Launch" of Baechli Harley-Heaven is one of the biggest-ever as an existing Harley-Davidson Dealership worldwide. The Swiss top-seller is now ranking among the "Top-Ten" of authorised Harley-Davidson worldwide! 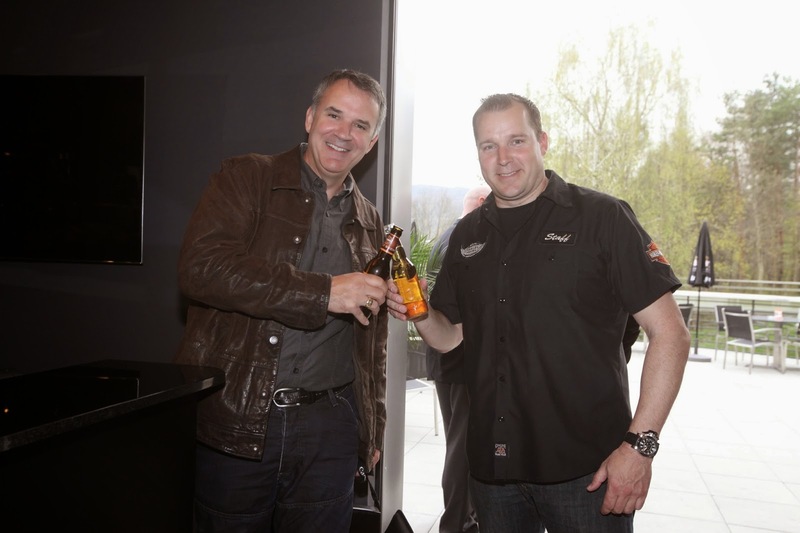 Thursday, April 3rd, Rainer Bächli welcomed his guests with a small but high-class welcome celebration which also included the members of his "Rabbit Valley Chapter" the Harley-Owners-Group (HOG), performing a guided tour through showrooms and workshop facilities. The high-class delegation featured Matt Levatich, President & CEO H-D Motor Company, his wife Nancy, Mike Kennedy, Vice President & Managing Director NA, Nancy Kennedy, Rob Lindley, Vice President & Managing Director EMEA, Dr. Ing. Christian Arnezeder, Managing Director Germany, Austria, Switzerland, Markus Geissner, Regional Financial Controller Germany, Austria, Switzerland, Martin Schmied, Country Manager and Peter Frey, District Manager. 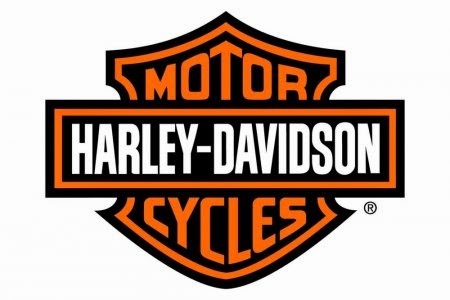 Keith Wandell – Chief Executive Officer and President of Harley-Davidson, Inc. since may 1st send a latter, but was excused for private reasons – he already visted the "old" Harley-Heaven twice in 2011 and 2012. Matt Levatich, President & CEO H-D Motor Company and Rainer Baechli. As the celebrations for the Grand Opening" of Baechli Harley-Heaven wrapped up, the "Thunder" continues: Next morning, the next tent was already errected outside Harley-Heaven. For this weekend – April 5th and 6th – the European "Open House" Events of all Harley-Davidson Dealers take place! The Ride continues!